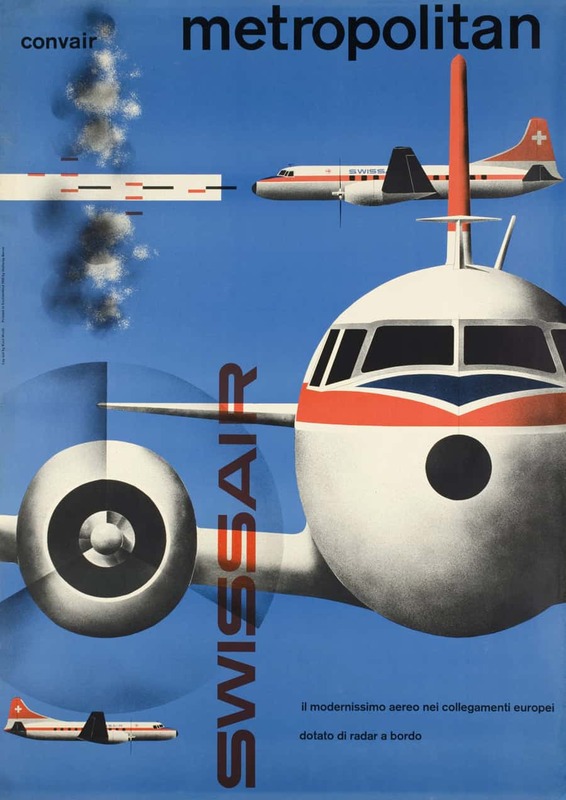 If you’re a fan of original airline memorable, then this selection of 140 Vintage Swissair Poster Designs, available for sale as prints from Galerie123, will be of some delight to you. 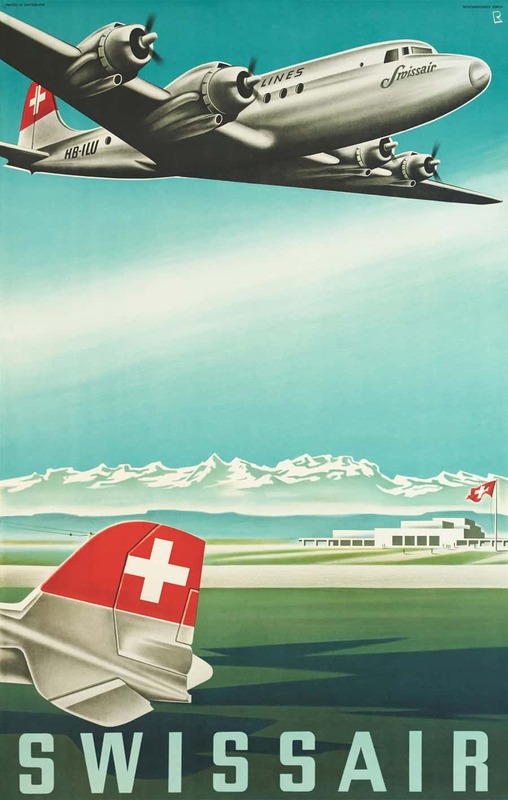 Galerie123: During the last 20 years Galerie 123 has diligently assembled one of the most important poster collections of Swissair, the old national Swiss airline company. It is with great pleasure that we are exhibiting, both in our gallery and on our internet site, this collection of 140 original posters, completed by an exceptional series of company model planes. 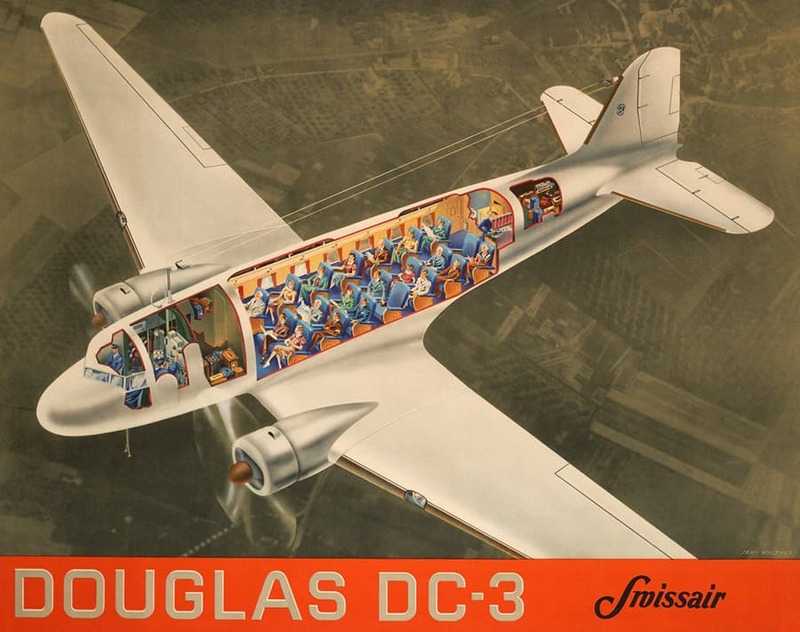 This page contains a large number of posters printed by the company Swissair. Those that are marked sold are not available for the moment. These photos come from our archives. 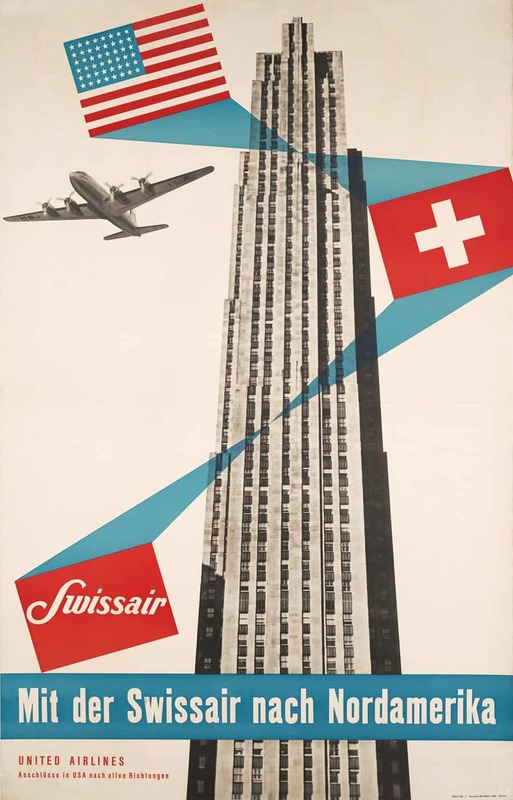 We have made the choice to to present them online in order to complete our story and to offer our visitors an almost exhaustive vision of the posters commissioned by Swissair.